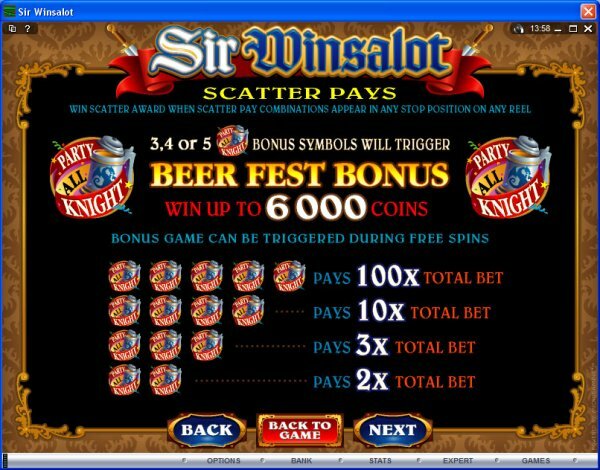 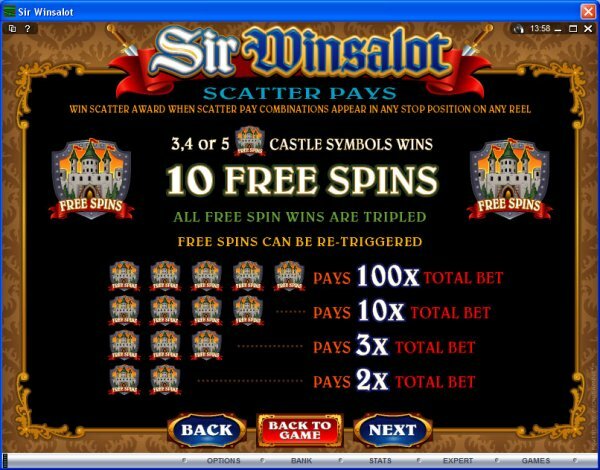 Overview: Here's a game that lives up to its noble name, with the opportunity to score through two different Scatter options, a Wild Knight to create those winning line combinations, up to 10 Free Spins with a 3x multiplier and a fun second screen bonus game. 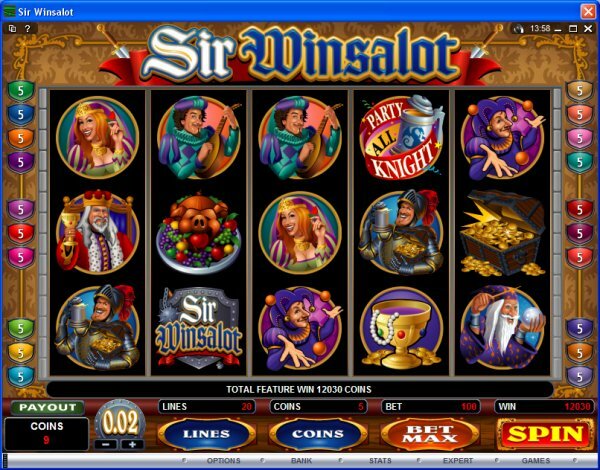 It's all presented on a lively medieval feast theme carried by outstanding color graphics of delectable damsels, jolly jesters and meandering minstrels, with bejeweled goblets, the dashing Sir Winsalot in full armor and treasures aplenty. 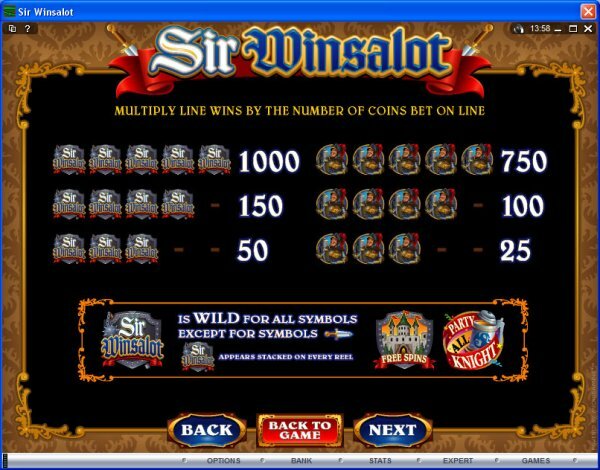 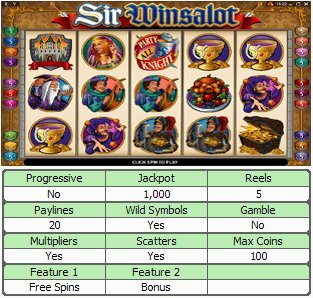 Similar Slots: If you like Sir Winsalot, you might like these other 5-reel slot machines: Bearly Fishing, Boogie Monsters, Mardi Gras Fever, Moonshine, Pure Platinum, Stash of the Titans.